With summer just around the corner, my husband decided to make some burgers. We’ll probably make these and grill these later in the season, but yesterday was a chilly day in the 40s, so we used our George Forman grill indoors. I was envious watching my family eat these! 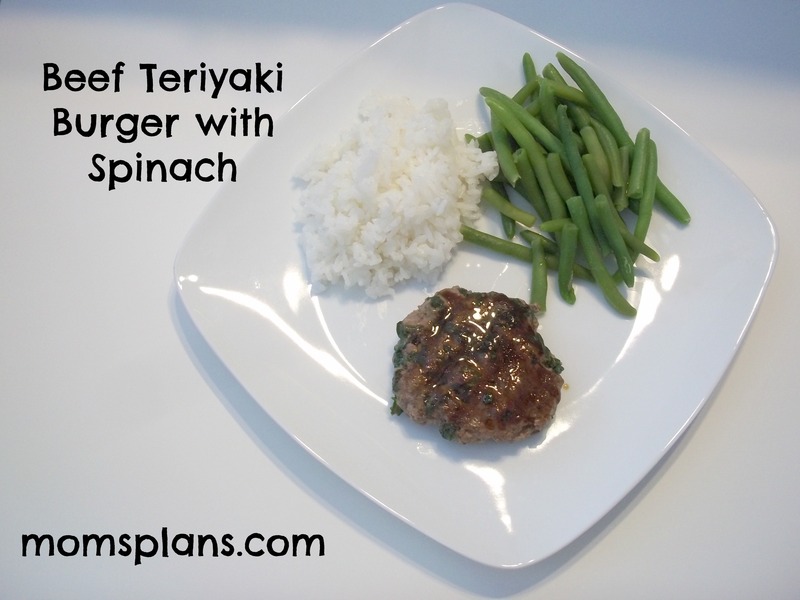 As soon as I get spinach back in my diet, I’m totally asking him to make these again. All three kids devoured these and asked for more, so they were good! Nothing beats kid tested and approved. Saute the spinach in a dash of olive oil until almost wilted. In a large bowl, combine all the ingredients including the spinach. Mix thoroughly and form into 4 to 6 patties. Cook to your desired level. Put 1 tsp. of teriyaki sauce on each burger and spread around the entire burger. Enjoy! I shared this post at Tasty Traditions, Try a New Recipe Tuesday, and Tempt My Tummy Tuesday.